Hide-Chan Ramen, round 2! If you haven’t figured this out already, I’m a bit of a ramen fanatic. How can you say no to a piping hot bowl of ramen?! Especially when it has char siu on top! Japanese comfort food, that’s what it is. And yes, I put vegetarianism on hold whenever I get ramen. I’m quite proud of how I somehow managed to convince John, who normally doesn’t like soupy dishes, to get ramen with me. He was lured by the “select the richness of your broth a.k.a. pork fat content” option that Hide-Chan is known for. 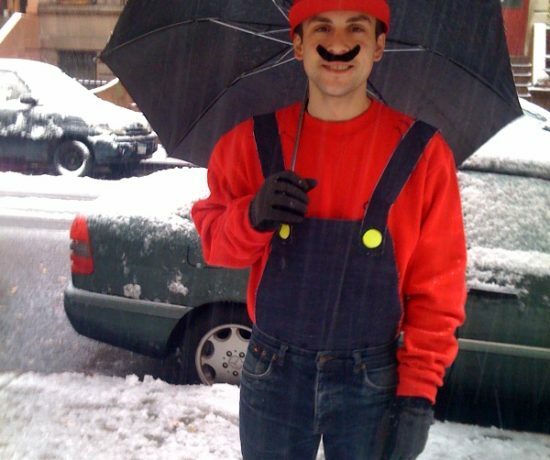 We decided, ahead of time, that we would go all out and get the rich broth. Oh yes, RICH BROTH, filled with porky goodness. I’ll admit that I was a little scared, but there was no backing out. 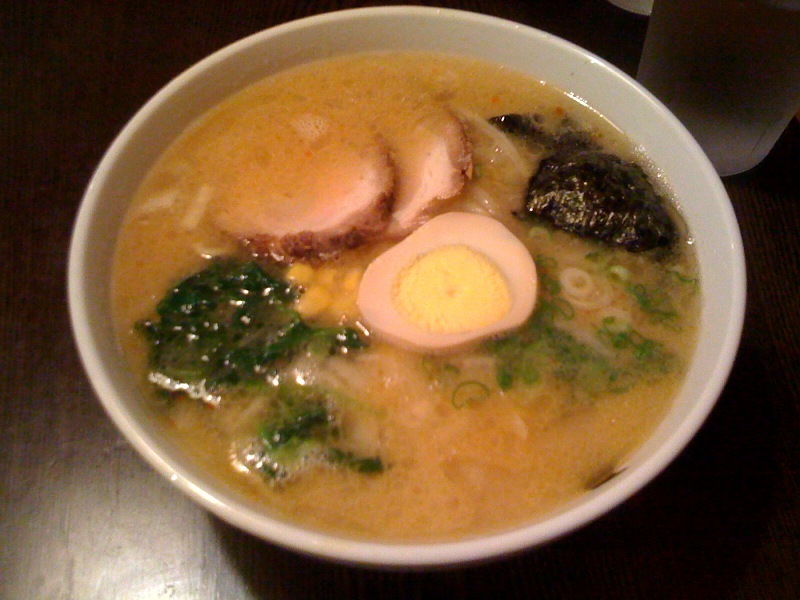 After John diligently studied the menu, he decided on the Hakata Kuro Ramen with firm noodles and rich broth. I was very tempted to get the black garlic again, but decided to try the Tonkutsu Miso Ramen with medium noodles and rich broth. On my last visit, I got medium broth, which already had plenty of delicious porky flavors. This time we’re moving up on the porky goodness scale. 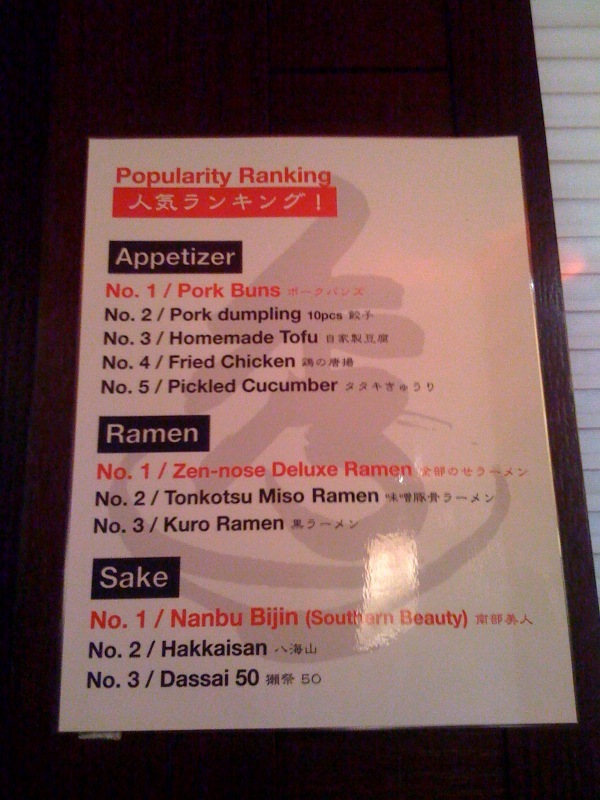 As we were anxiously awaiting our ramen, we noticed a popularity ranking sign by our table. Apparently we were getting the #2 and #3 for ramen. I believe John’s response was something along the lines of “Holy cow! 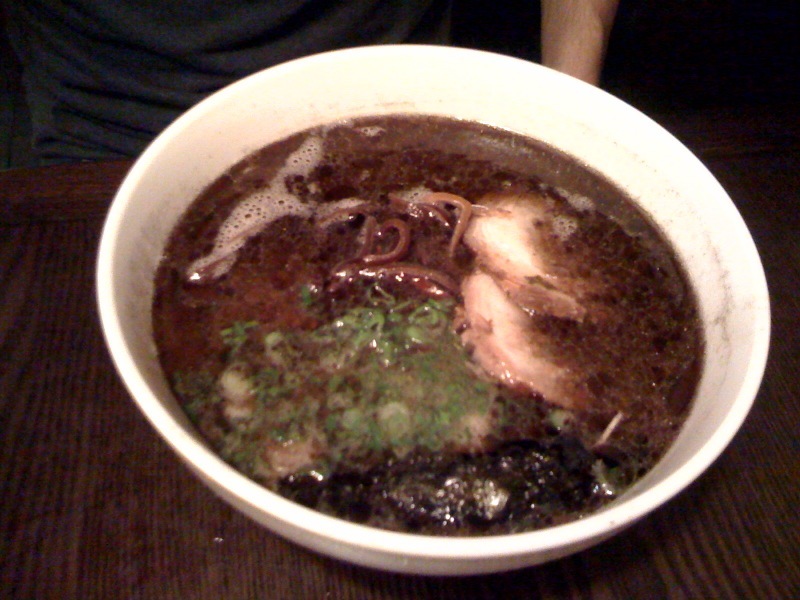 That’s black!” when his Hakata Kuro Ramen was placed in front of him. My Tonkotsu Miso Ramen was equally as impressive. It may not have the color, but seriously, look at that broth! They’re not kidding around when you ask for the rich broth. Porky goodness to the extreme. 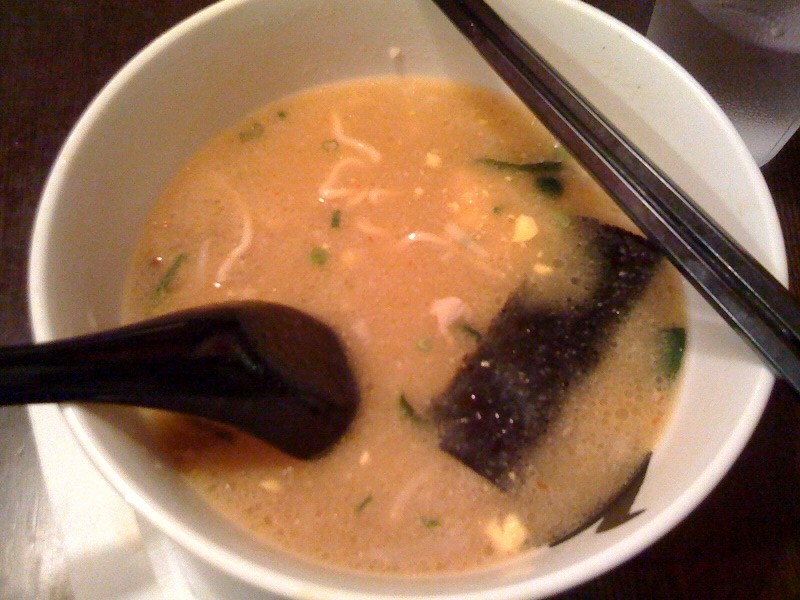 The Tonkotsu Miso comes with the thicker, wavy noodles. Even though I ordered medium noodles, they were, in my opinion, closer to firm. I suspect I’m one of the few who actually prefers softer noodles. The char siu once again was to die for. I tend to get a little weirded out and disturbed by meat that is too fatty, but that wasn’t the case with this char siu. 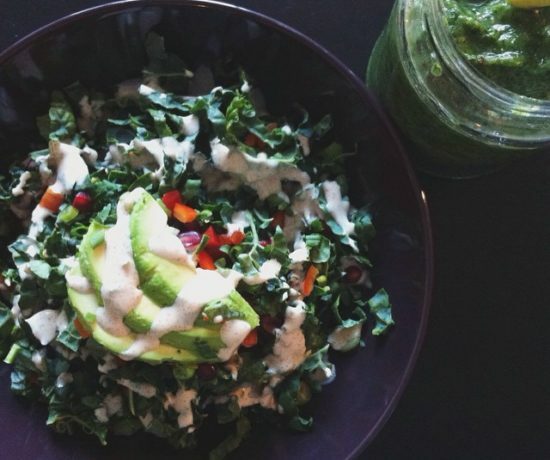 Yes, I know it’s fatty, very FATTY… but it had so much flavor, I didn’t even notice the fattiness. Porky goodness, for the win. Don’t worry, I didn’t let that broth go to waste. 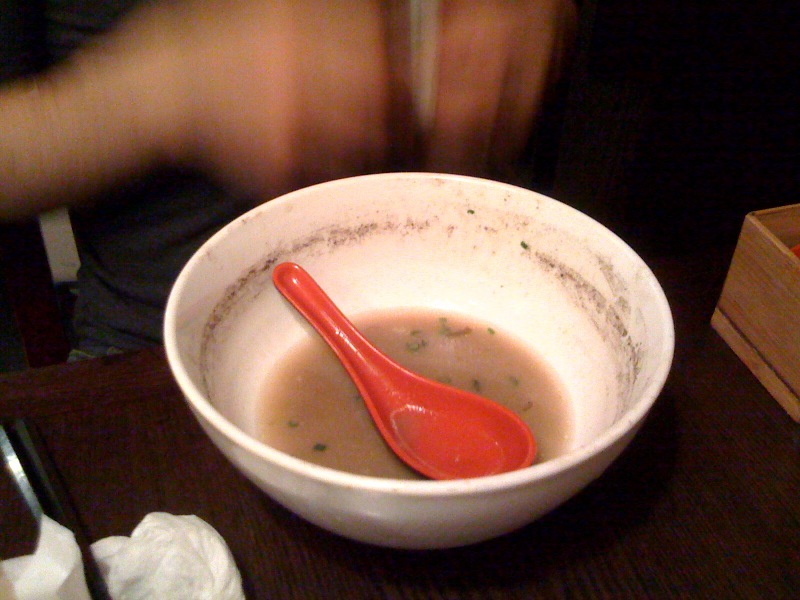 Slurped it all up, and John did the same with his black garlic broth. Oh, I should point out that we were at Hide-Chan at 6pm on Sunday. There was no wait, and our ramen was brought very quickly. 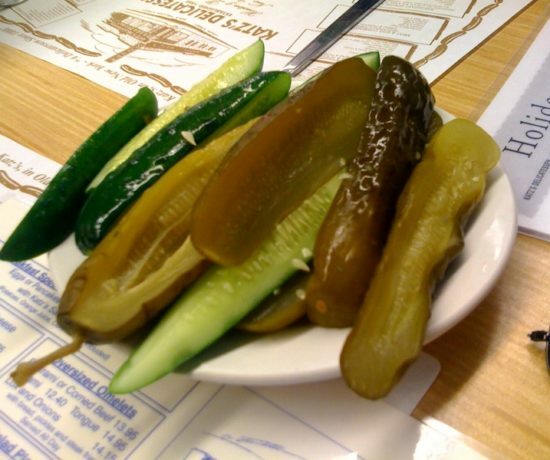 No wait for comfort food? That is awesome. After all that broth, the walk from Hide-Chan back to subway station was pretty awful. I kept wanting to lie down and take a nap! We both fell asleep on the train and drank a lot of water when we got home. Minca Ramen | Let's Nom Nom! Ippudo NY | Let's Nom Nom! Jin Ramen | Let's Nom Nom! The Ramen Girl / Menchanko Tei / Katsuhama | Let's Nom Nom! Hide-Chan Ramen | Let's Nom Nom! 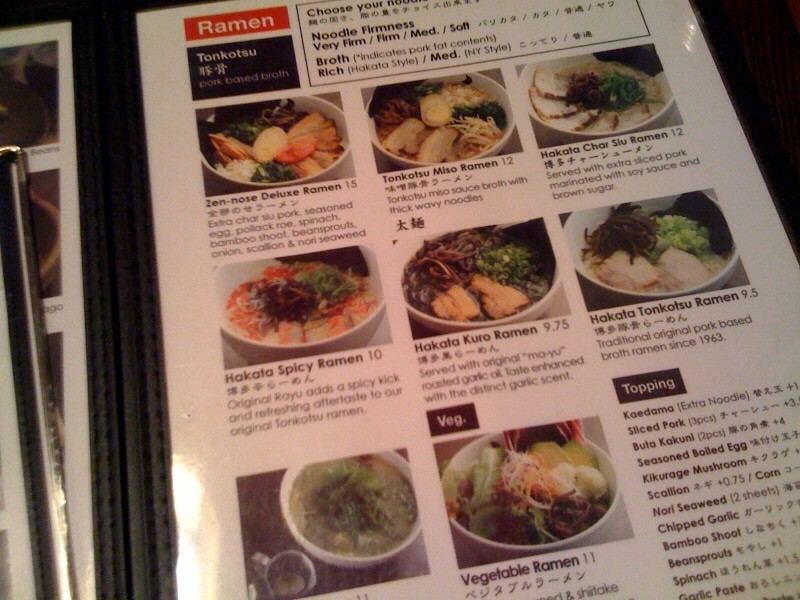 Hide-Chan Ramen, Midtown East | Let's Nom Nom!